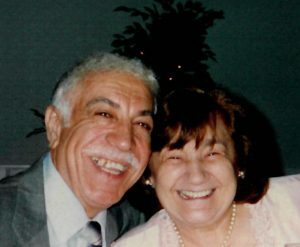 Folsom Funeral Service » Shagoury, Paul B.
Paul Bahot Shagoury, of Norwood, died Monday, January 21, 2019 at the Saints Campus of Lowell General Hospital. He was 91. Paul was born February 28, 1927 in Natick, Massachusetts, on of the seven children of Richard and Mary (Catiny) Shagoury. He graduated from Natick High School before earning his law degree from Suffolk University. Paul served in the US Navy for a year on the USS Tortuga at the end of World War Two. After the war, and his legal education he worked as a lawyer in probate court. Paul was the husband of the late Alma Anne (Koujian) Shagoury and the father of the late Stephen C. Shagoury. he is survived by his son, Brian Shagoury and his two gransdchildren, Abraham and Sophia Shagoury, both who reside in Florida. He was the brother of the late James and Alice Shagoury, the late Abraham and Dorothy Shagoury, the late Michael Shagoury, and his wife Jackie, the late Elias Shagoury, and his wife Sandy of Tewksbury, the late Pauline Boucher, and her husband William of Easton, and the late Alice and Anthony Shagoury. Visiting hours Thursday, February 7th from 5 to 8 pm at the Folsom & May Funeral Home, 85 Nichols Street, Norwood. Paul’s funeral will be held Friday, February 8th at 10 am at the funeral home followed by interment in Highland Cemetery, Norwood. Donations to the American Diabetes Association, 10 Speen Street, 2nd Floor, Framingham, MA 01701 would be appreciated. Bobby and I are so sorry to hear of the recent death of your father. And I was shocked to hear that your brother Stephen had also passed away. I had no idea. I have always had a soft spot in my heart for you and I am so sorry for this difficult time. My Uncle Paul was always there for those of us that ever needed to just talk back when I was growing up. He was a good man with a good heart.